Statistically, it is unlikely that law enforcement officers or armed citizens will ever find themselves in a situation that requires them to use deadly force. For those who do, they will face a grand jury that determines whether or not that force was justified. If its determined to be unjustified, an indictment, criminal prosecution, and civil suits will likely follow. 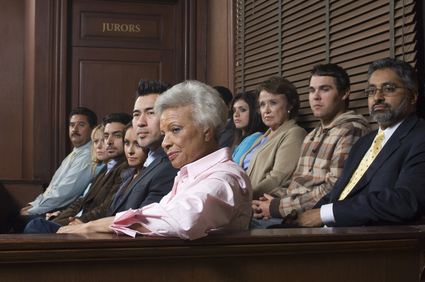 Their trial will consist of a jury of their peers, which is composed of citizens. These jurors will have their own personal beliefs and opinions about appropriate use of force. Even with legal guidance and the standard of proof beyond a reasonable doubt, there is no guarantee that an acquittal with be forthcoming. Juries have been known to erroneously apply their beliefs of guilt or innocence by applying hindsight. Empty Chamber - The only people who are capable of knowing if there is a bullet in the chamber of a firearm is the suspect, God, and Superman. To expect anyone else of making this determination is preposterous. Still there are many who believe that this is possible. Its unfair to expect an officer or citizen to risk their life by waiting to see if a round is actually chambered. Case law does not require a wait and see strategy. Deadly force case law is similar to any use of force application, allowing the use of preemptive strikes, so long as there is legal justification. How this burden of is justified is different for police officers and citizens. Both standards, however, include the necessity to show that the individual using force was in fear of death or great bodily harm.For law enforcement officers, the application of deadly force is more lenient than for citizens because of the duties they are expected to perform such as affecting an arrest. Officers are expected to use only the force necessary to overcome resistance. Considerations the courts take into account include; the severity of the crime, prevention of a violent offenders flight, and the reasonable belief that the suspect would cause death or great bodily harm to the officer or others. For the armed citizen, however, the standard of reasonableness is not included. Citizens must be able to prove that a felony was being committed or about to be committed - mere suspicion is insufficient. 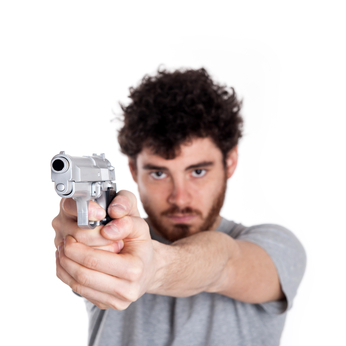 Shoot to Injure - Shooting to injure in a deadly force scenario is absurd. Few people possess the marksmanship skills to make such a shot. To shoot a limb is like threading a needle. It is also not going to stop the deadly force encounter (see an upcoming article on stopping a deadly threat). Suspects move and extremities move more than a torso. Shooting under the stress of a life or death encounter significantly increases the danger. Recreating stress in training, practice, and competition is different from the stress experienced when ones life is in danger. Inoculating oneself against stress helps in reaction time, but will not guarantee effective shooting of a limb. As a matter of fact, when this does occur it is most likely the result of the shooters fixation on the threat held in the suspects hands  such as a knife or gun. The adage that where the eyes go the hands will follow certainly applies.See the upcoming article addressing the belief that women, pregnant women, juveniles, and the elderly do not pose a bona fide threat.